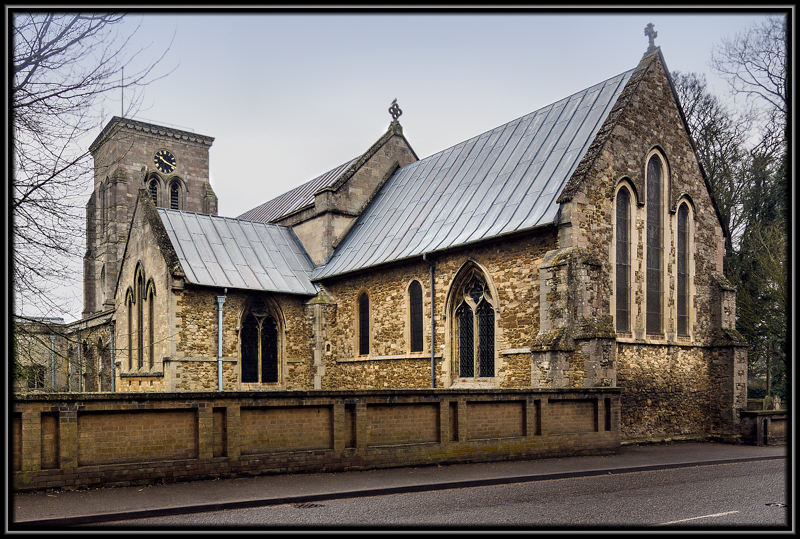 On a grey day when rain was a probability opposed to a possibility I set out for Haddenham In The Isle of Ely Cambridgeshire. You can give your imagination a treat by dreaming of undulating landscapes and mountainous regions as Haddenham sits on a ridge in The Isle at a staggering 121 feet (“In old money”). Before the fens were drained Haddenham was the main entrance into The Isle of Ely from Aldreth Causeway so it was of significant importance, its population was the largest with the exception of Littleport and Thorny, today it has to contend with articulated vehicles escaping the A14 on their way between Huntingdon and Newmarket. In 1612 the Lord of the manor was none other than Thomas Howard, 1st Earl of Suffolk, Lord Lieutenant of Cambridgeshire and Chancellor of the University of Cambridge whose daughter Frances was implicated in the poisoning of Sir Thomas Overbury. It gave him the entitlement to hold a market and fair in Aldreth and Haddenham. 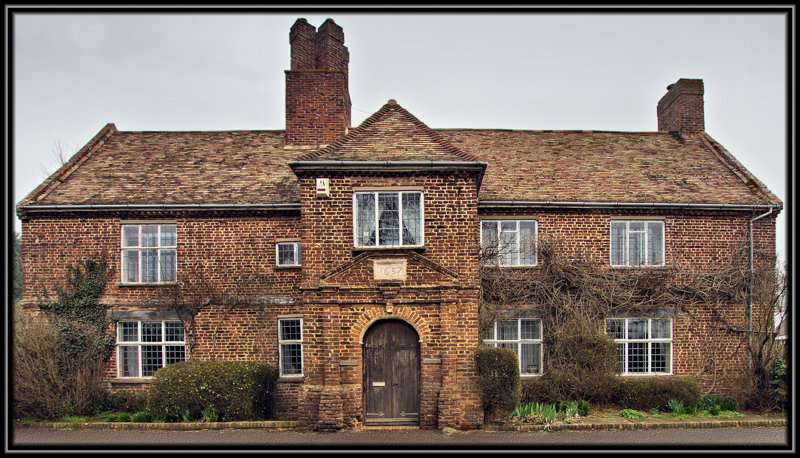 If you are of a campanological bent you may be interested to know there was bell foundry in Haddenham between 1665 and 1680, producing bells for Witchford and other villages in Cambridgeshire. In March 1947 the whole of the western end of the parish was severely effect by the great floods. This entry was posted in Cambridgeshire, Village of The Isle Of Ely and tagged 1612, 1st Earl of Suffolk, Aldreth Causeway, Cambridgeshire, Chancellor of the University of Cambridge, Fens, Haddenham, Huntingdon, Littleport, Lord Lieutenant of Cambridgeshire, Newmarket, The Isle of Ely, The Lord of the manor, Thomas Howard, Thorny on May 1, 2015 by James P Miller. I have visited but more often than not driven through Thetford on many occasion in the pursuit of more exotic destinations (should read business trips) or so I thought. It is only when you take time to stop and stare (shorthand for Google it) that it is not just a stopping place on your way to Norwich or Great Yarmouth, it has a history both modern and ancient running in its environs. Our interest on this occasion was not Dads Army or even Thomas Paine but the remains of Cluniac Priory of Our Lady of Thetford, the burial place of the Earls and Dukes of Norfolk before they were removed to Framlingham Church in Suffolk by The Third Duke on The Dissolution of The Monasteries. Being a Scot and having an interest in The Howard Family may strike some as less than patriotic as The Second Duke of Norfolk, Thomas Howard was instrumental in the defeat of The Scottish Army at the battle of Flodden. I could claim the higher ground and maintain that we Scots forgive and forget old grievances (permission to laugh, question or agree if desired) but I have to admit that my justification is perhaps not so laudable. I have to confess a partiality for a sonnet or two particularly the Shakespearean variety, all thanks has to go to the great grandson of The first Duke of Norfolk John Howard who fought and died at the Battle of Boswell Field, The Earl of Surrey, Henry Howard who was responsible for refining the form. To-day ready ripe, tomorrow all to-shaken. This entry was posted in Norfolk, Photo Journal and tagged Brittle Beauty by Henry Howard, Cluniac Priory, Cluniac Priory of Our Lady of Thetford, Dad Army, Dukes of Norfolk, English Heritage, Framlingham, Henry Howard, Howard Family, John Howard, Shakespearean Sonnet, Sonnet, Suffolk, The Battle of Boswell Field, The Battle of Flodden, The Church of St Michael, The Dissolution of The Monasteries, The Earl of Sussex, The Poet Earl, The War of The Roses, Thetford, Thetford Priory, Thomas Howard, Thomas Paine on May 23, 2014 by James P Miller.